Now that Surface revenues are more than $1 billion per quarter, we can finally call Microsoft's gamble a success. But where does the Surface go from here? Tomorrow, Microsoft will show off its next wave of devices at a New York City press gathering. We're expecting some overdue upgrades for the Surface Laptop, Pro and Book. But it's also the perfect opportunity for the company to show off something entirely new. Now that Microsoft has proved it can innovate, will it take even bigger chances? If there's one thing we can rule out for now, it's the long-rumored Surface Phone. 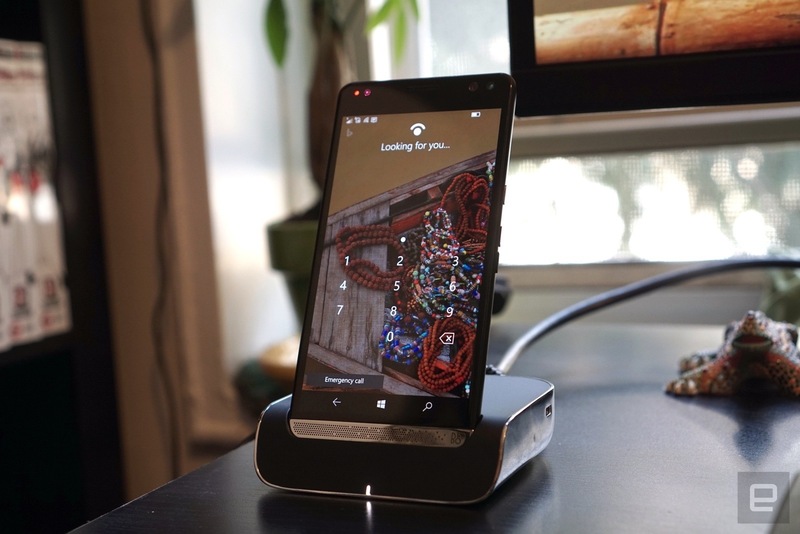 While it would have made sense before Microsoft gave up on Windows Phone (perhaps as a flagship like Google's Pixel), these days the company is more focused on playing nicely with the dominant mobile platforms, Android and iOS. Just take a look at the Your Phone app, one of the most exciting new features in the October Windows 10 update. It'll let you access contacts, messages and even share files between Android phones and Windows PCs. And on iOS, Microsoft will rely on Edge to share your browsing history with Windows 10's Timeline. Based on what we've seen at Computex this year, dual-screen devices are inevitable. ASUS showed off Project Precog, and Lenovo revealed its next-generation Yoga Book, a device that features a traditional display and an E Ink screen. ASUS claims Precog will actually ship next year, and Lenovo hinted that an upcoming Yoga Book will also feature two LCD screens. Even Intel got in on the fun with its E Ink concept PC. Of course, these are basically traditional computers without a physical keyboard, but it'll be interesting to see what developers can build when they have two displays to work with. ASUS, for example, showed off a two-player game that works across both screens. Now that Microsoft has mostly settled on its ecosystem of devices, I also wouldn't be surprised if it starts to explore new concepts entirely. Imagine taking the Surface's keyboard cover and transforming it into something that could fit on any tablet, even an iPad. The old, Ballmer-run Microsoft would balk at an idea like that, since it would involve giving away some of its hardware magic to competitors. But the new Microsoft is all about product synergy -- just imagine a Surface-esque tablet cover that also comes with some free OneDrive storage or perhaps several months of Office 365 access. And what better way to work on Office documents on iOS and Android than with a Microsoft-made keyboard? Given that even Apple is struggling to build a decent keyboard cover and Logitech is currently dominating that market, there's plenty of room for Microsoft to jump in. 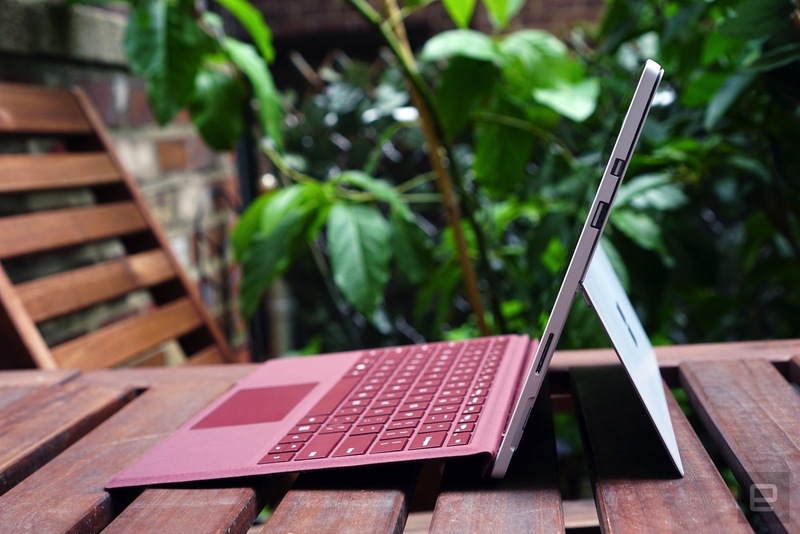 If there's one defining aspect of the Surface lineup, it's innovation. Sometimes, it arrives before the hardware and market is ready for it, like with the Surface RT. But now that Microsoft has built up momentum redefining several PC categories, it has to keep evolving. That doesn't mean we need a brand-new Surface device every year -- it just means Microsoft always needs to think about what it can do better.